Nut butter is an essential for any kitchen. I like to spread it on toast, plop it into smoothies, swirl it into baked goods, and admittedly eat it by the spoonful. The decadence is unparalleled by any plant food. Peanut butter has a certain childhood sweetness to it, while almond butter has some grown-up heft. Coconut butter is creamy and exotic, and cashew butter is a great alternative to classic nut spreads. Traditional roasted nut butter is still good for ya, but for the greatest health benefits you’ve gotta go raw. That’s a pretty simple switch, except that 16 ounces of raw almond butter will cost you just under $20. It’s astonishingly expensive. Food processor to the rescue! You can make your own for under $10, plus you get to customize your blend as you see fit. Just make sure you have an able food processor. I had adopted my mom’s from 1988, and it seems that I made one too many raw nut butter blends for the old gal. Last night I was whirring away, and suddenly she got very hot and began to smoke. And then she stopped. But if your equipment is up for the challenge, homemade nut butter is yours! Suzannah Schneider is a senior at Tulane University. Her new favorite fruit is the dapple dandy pluot, which a hybrid of a plum and an apricot. It tastes like a plum, and has an especially adorable name. 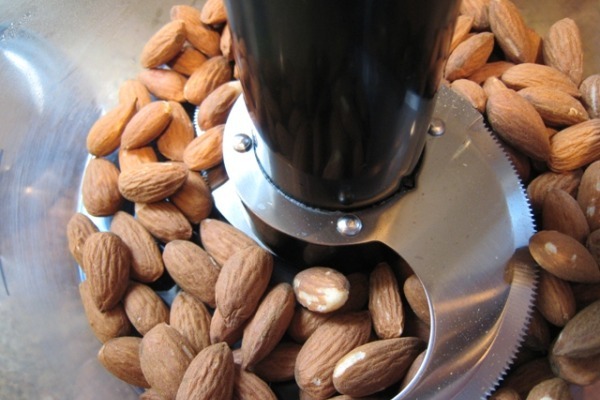 Place the nuts in a sturdy food processor, and process continuously for about 15 minutes. Scrape down the sides as necessary, and don’t give up! Eventually what looks like a nut meal will magically turn into a creamy butter. I promise. If you desire, toss some treats from the list below into the mix. 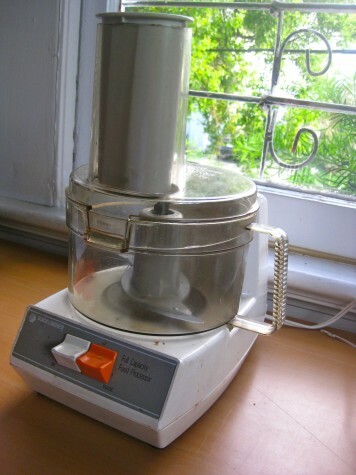 May my 1988 Black and Decker food processor rest in peace. She travelled many miles. Oh, I am so on this come Sunday. Looks fantastic, and I’m all for anything healthy that I can make on the cheap.